My primary research interest involves the ways in which climate, land use and management practices impact water quality in anthropogenic landscapes. In my current research, I focus on the long-term impacts of cultivation and the heavy use of nitrogen fertilizers within agroecosystems over the last century. I am using a range of datasets to quantify the development of landscape-level nitrogen legacies, from small watersheds to the global scale. 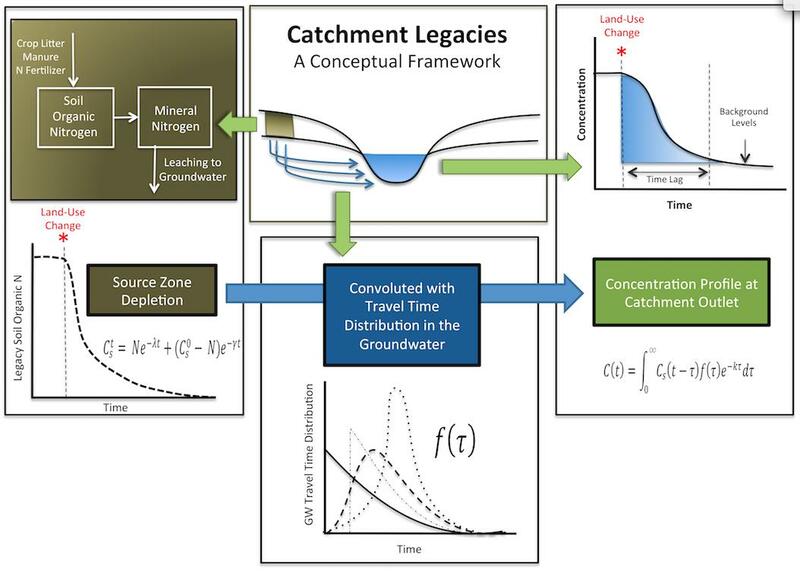 Concurrently, I am developing a parsimonious model that can capture the development of both biogeochemical and hydrologic nutrient legacies in subsurface reservoirs, e.g. soil and groundwater, and that can explore the long-term impacts of nutrient legacies on water quality.